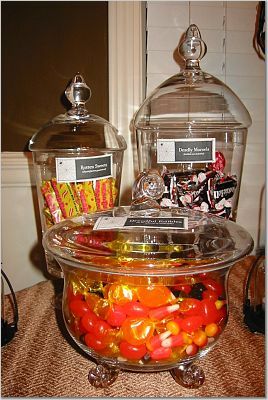 Digging this one out of my archives to share it at the Centsational Girl Fall Craft Link Party! Since we are no longer throwing big elaborate Halloween parties like we did back before we became Mama and Daddy, I decided to pull out some vintage Halloween Hootenanny party pictures to show you the way we used to roll here in the Bryan house. 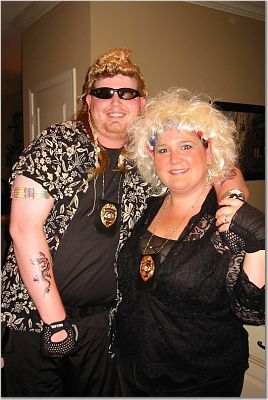 That was the year we dressed up as Dog The Bounty Hunter and Beth for our costumes. Classic. 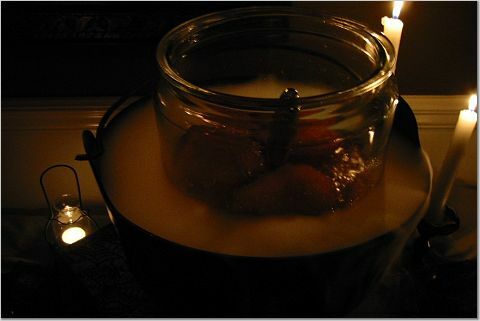 With the lights out it looked like entrails. Ummmmm. Then as I was wandering the aisles of Walmart a few days back in search of the skinny necked treat bags for G’s trunk or treat, I ran across a Wilton Halloween Pretzel Rod Kit that contains everything you need to make Frankenstein fingers and Pretzel Mummies and other spooktacular Halloween treats. I got news for you Wilton. You are so two thousand and late with that one…. Here is what I was serving back in 2005. All hand crafted by me. Sure I stole the idea from a magazine, but still. 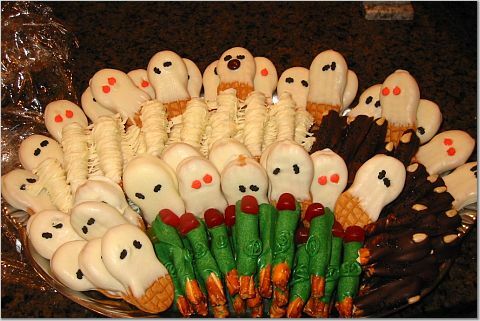 Nutterbutter ghosts, Frankenstein fingers, werewolf claws and mummy rods. Those suckers were a HIT. 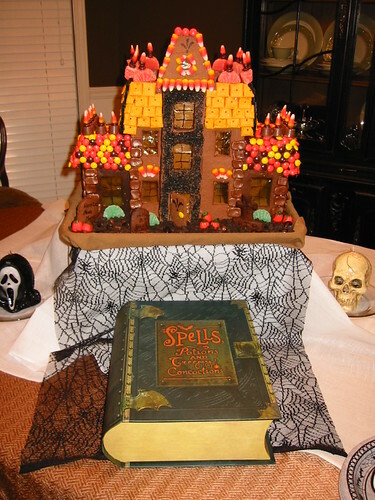 Another project I tackled for that Halloween party was THIS bad boy. 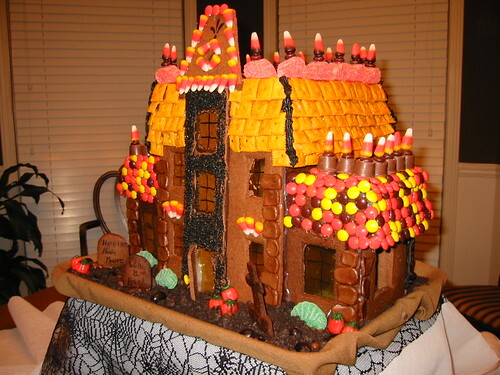 It took me like a week to bake and assemble this masterpiece, but MAN talk about a sense of accomplishment once it was finished. I felt like a I should have gotten my GC license after the construction on this one. 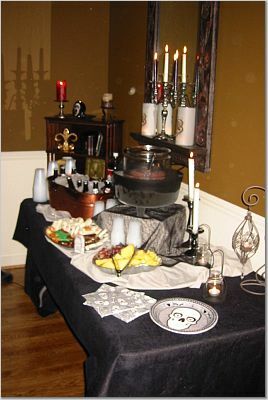 My entire house smelled like chocolate for weeks after this party. It was what I imagine heaven to smell like. 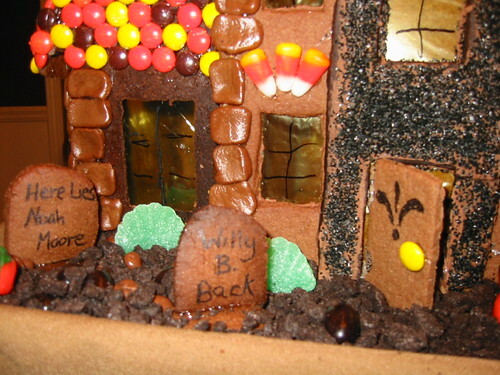 There were so many little details on this Haunted Gingerbread House that I couldn’t even begin to make another one. It was craziness to attempt it in the first place, but I saw the recipe in a magazine, and decided to go for it. Besides, what the heck else did I have to do with my time back then?? It’s not like there was the constant thunder of little feet disrupting my every move and demanding my constant attention back then. Ahhhhh…. the days of baby-free splendid selfishness. Sometimes I miss it. Then I remember how hard I worked to make this kid happen and how much he makes me smile these days and I am thankful for the rumble-fests that occur nightly around here. I wouldn’t go back to baby-free days. 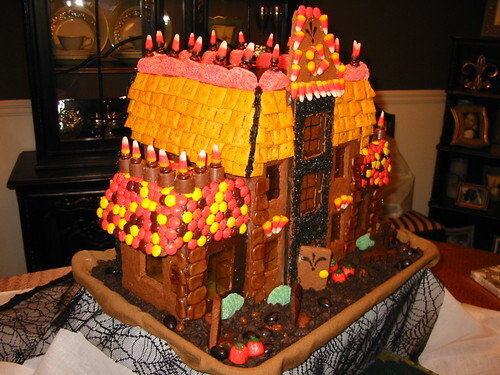 Anyway… back to the Haunted House O’ SuperPhatness…. 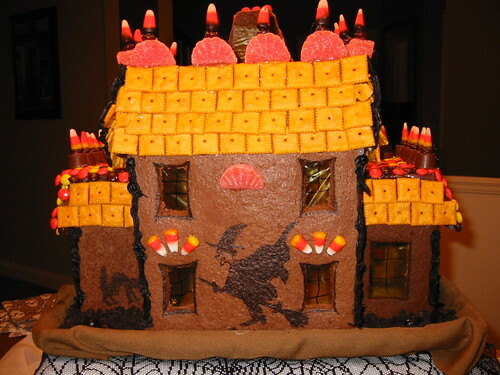 My childhood was sorely deprived or anything Halloween or Gingerbread house related, so this project was like a great big Double Dog Dare that I bet on myself. And I’m SO glad that I did it. It’s one of those things I can mark off of my Bucket List, because I ain’t gonna lie… I really knocked it out of the park with this one. And guess what? 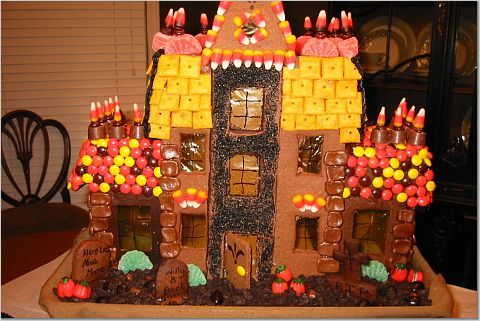 Nowadays you can just go down to Walmart and pick up a premade kit that contains everything you need to make your own Haunted Gingerbread House. :insert eyeroll: Premade kits are for wusses. 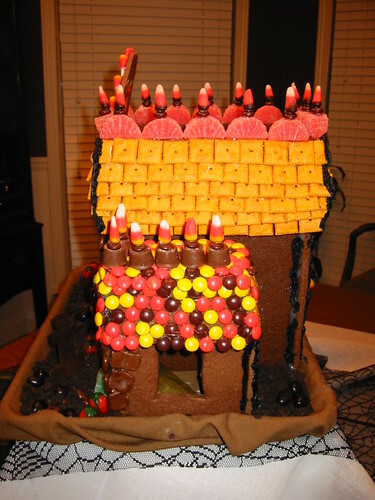 You’re not a REAL gingerbread contractor until you spend weeks hot glueing candy corn spires and Cheez-it roofing tiles all over the roof of a 3 foot wide Victorian made out of gigantic cookie THAT YOU BAKED FROM SCRATCH. Yes I’m bragging. 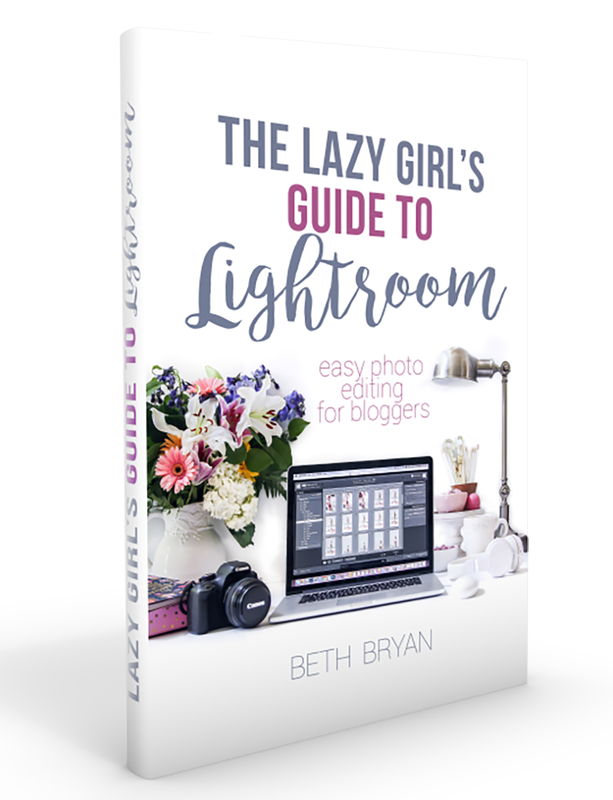 Isn’t that what blogs are for afterall? For some reason your pictures aren’t showing up. 🙁 And I’d love to see them! 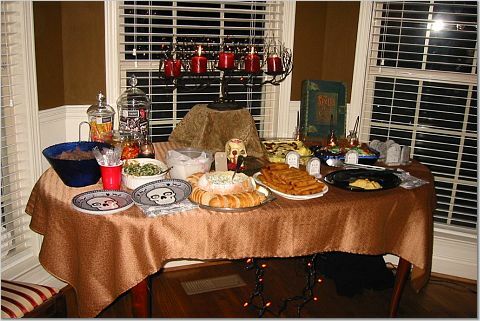 I’m hosting a Halloween party tonight and could use some last minute inspiration! Sorry about that!! Try it now. I am in the process of having an affair with Picasa (shhhh… don’t tell my former lover Flickr). I haven’t quite gotten the hang of it yet. THAT IS AMAZING!!! YOU ARE AWESOME! BTW, I love Picasa. It’s so easy to use.